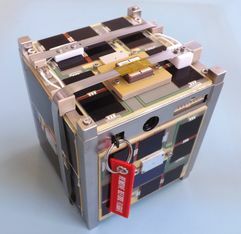 The picosatellite project BEESAT-4 is the most recent mission of the BEESAT-series, under development at the Chair of Space technology of the Institute of Technology Berlin. Another objective is the education of students. Hence theses are offered and student assistants are involved in designing several subsystems. The satellite bus is based on BEESAT-2, however multiple modifications and enhancements have been implemented. 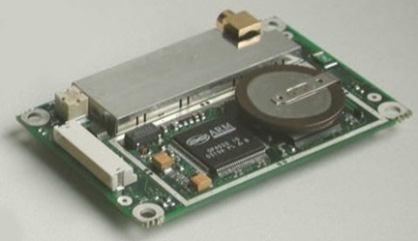 The PCB of the Power Control Unit (PCU) has been redesigned As the GPS receiver mandates different power requirements. Also the PCB of the Payload Data Handling (PDH) is a new design due to the mechanical and electrical requirements of the GPS receiver. Furthermore the solar panels have to be redesigned to assemble the GPS antenna and for the usage of new sun sensors. The 3-axes-stabilisation of BEESAT-2 will be employed and is vital in establishing a continuous GPS connection. Determining the attitude is performed by MEMS sun sensors, magnetic field sensors and gyroscopes while the reaction wheels are responsible for attitude actuation of the spacecraft. For desaturation of the wheels and damping of angular rates of the satellite magnetic coils will be used. BEESAT-4 was launched on 2016-06-22 and separated from the DLR satellite BIROS on 2016-09-09. Kapitola, S.; Weiß, S.; Brieß, K. (2017): Flight Experience and Operations with the CubeSat BEESAT-4. 11th IAA Symposium on Small Satellites for Earth Observation, Berlin (Germany), 24–28 April. Weiß, S.; Kempe, F.; Brieß, K. (2013): GPS Tracking on the Three-Axis-Stabilized Picosatellite BEESAT-4 7th Pico and Nano Satellite Workshop on Technology for Small Satellite Research, Würzburg (Germany), 3rd September.